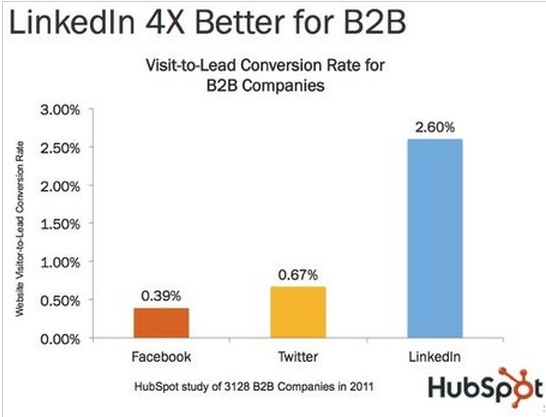 Home Sales & Marketing Social Media Your Linkedin Invitations? Personalize Them. First Impressions Matter. Your Linkedin Invitations? Personalize Them. First Impressions Matter. How do you handle your Linkedin invitations? Do you personalize them or send out the boilerplate invitation? Does it matter? Yes, but only if you want that invitation accepted. Remember, your invitation may be someone’s first impression of you. And, first impressions matter. So if you care enough to extend an invitation, why not spend a few moments to make that invitation memorable for the recipient? The question came up recently over coffee (virtually) with a group of friends and colleagues. We were discussing some of our pet peeves with social media and social networking. I volunteered that one of mine is to receive an invitation to connect to someone’s Linkedin network without any personalization. I find it hard to respond enthusiastically to a connection request when someone hasn’t taken the time to personalize the message. Back to the question of invitations. Linkedin makes a boilerplate invitation available for use in building out your network. A lot of people simply identify someone to invite and click the link to send off the generic invitation. Unfortunately, if you are someone (and these days, who isn’t?) who gets a lot of email, getting a boilerplate connection request may not make it on your radar. I’m reading Robert Rose and Joe Pulizzi’s Managing Content Marketing right now and was struck by this information, “…in 1971 the average American was exposed to 560 advertising messages per day. By 1977, that number had increased to more than 3,000 per days. In 2009, it was more than 13,000 per day.” Unbelievable, right? And yet not so hard to imagine that today, in 2012, the numbers are even higher and the clutter even more dense. We all feel inundated by the information coming at us, the requests we field or ignore, the stuff we need to address on a daily basis. Taking the time to personalize an invitation to connect is an investment in starting a good business relationship and, on a more practical level, helping your invitation break through the noise and be accepted. Kristin Burnham, of CIO.com, wrote an excellent post last year on Linkedin etiquette and the nuts and bolts of personalizing your invitations. Take a moment to read it if you think you need help or an additional argument to persuade you. What’s your take on this? How do you handle your connection requests? I’d love to hear from you. And, if you find you need help understanding where Linkedin fits in your organization’s marketing strategy, give us a call at 419.740.1262. We’d be happy to talk to you about it. Next articleSocial Media and Automation: Right or Wrong? Yes. What a smart post! People forget about Linkedin invites — def worth taking these tips. Thanks for posting this!!! A good post. I think people underestimate LinkedIn and often don’t even think about the personalization of an invite and why it would be important. Great job explaining why.